Outdoor luxury redefined....the Deluxe Super Soft Spa Pillow...the World's Finest Spa Pillow! This super soft cushioned spa pillow is designed to be used with virtually any hot tub and can also be used on any chair, chaise lounge, outdoor bed or even on the beach. Lightweight and compact, the spa pillow comes with a weighted end making it more stable when in use. Simply hang it over the edge of your spa and relax.The pillow is incredibly super soft to the touch and is made of vinyl dipped new age foam material that will last for years. Will float on water! Don't waste money on replacing your factory branded pillows which fall apart after a few years due to exposure to your hot tub's chemicals. 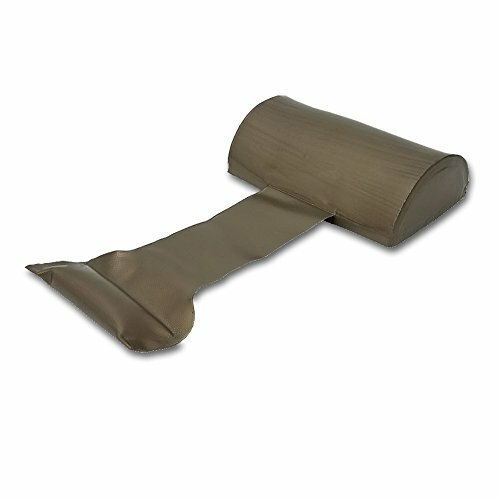 Our spa pillow is easily movable to any part of your hot tub and can be stored easily when not in use. Crack resistant and able to last 10+ years. Pillow measures 9.6" x 6.3" x 3". With extended weight strap, the overall dimensions are 9.6" x 3" x 16". Pillow measure 9.6" x 6.3" x 3"